The Supreme Court has ordered the Central Board of Secondary Education (CBSE) to “scrupulously” follow its 2011 judgment which had ruled that students have fundamental and legal right of having access to answer sheets under Right to Information Act, 2005. The Court was hearing an application under Section 12 of the Contempt of Court Act, filed by two law students, Mr. Kumar Shanu and Mr. Paras Jain, demanding that contempt proceedings be initiated against CBSE Chairman, Mr. YSK Seshu Kumar for “wilfully and deliberately disobeying” Court directions. “That it is ironical and astonishing that Respondent/Contemnor, being an Educational Institution responsible for educating a large section of the society, is blatantly flouting the law laid down by this Hon’ble Court,” the petition stated. The petitioners had brought to the Court’s notice information obtained under the RTI Act, whereby they were informed that the Board charges Rs. 700 per subject from students for providing a copy of their answer sheets. They were further informed that students are compulsorily required to go through the process of Verification of Marks for a fee of Rs. 300 per subject, in order to become eligible for demanding copies of answer sheets. 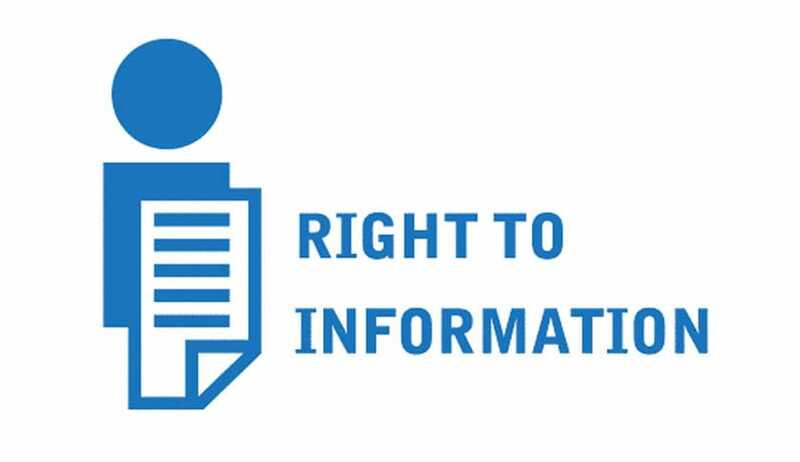 “That it is imperative to note that the said Answer-Sheet (Information) can easily be obtained at the cost of Rs 2 per page along with Rs 10/- for the application and concomitantly, examinees falling under Below Poverty Line Category have been guaranteed free access to above stated information under proviso to Section-7(5) of the RTI Act,” the petition further contends. This, the petition claimed, is against the Supreme Court judgment in the case of CBSE & anr. v. Aditya Bandhopadhyay & Ors. Civil Appeal No. 6454/2011. The judgment, rendered in August 2011 by a Division Bench comprising Justice R.V. Raveendran and Justice A.K. Patnaik had ruled that an answer sheet is “Information” as per Section-2(f) of the RTI Act. It had held that there existed a fiduciary relationship between the examining body and the student.